Before reading this section, you can first or later read the previous section 1 - Get Set for the Challenge. That's where the journey to your campus began. I ought to have used, “stay informed” instead. But I’m aware without being connected; you’re losing out in being informed. Admission in this part of the world or elsewhere needs constant and continually feedbacks. Candidates must know when activities are on regards the schools being proposed. This is where most admission seekers lose out. Imagine writing UTME and scoring very high. But, due to your disconnection, you’re not aware of when the post UTME form of your school was out. You didn’t know if the sales of such form is extended. You don’t know when and where entrance exams (or post UTME) will hold. You don’t know if such exams will be CBT test or a mere physical screening. You don’t know when admission list is out. You don’t know if more lists were released aside from the first one. You don’t know what next after being offered admission. If you missed any of the above information, you could be on the train to unlucky land for that admission year. As a consultant, I’ve seen and heard a series of complaints and excuses from applicants. With a thousand of aspirants chasing a few spaces in the school, I’m not sure a school will be chasing you around with information. Instead, you should be chasing them around. 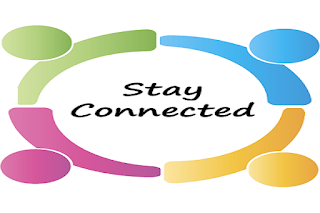 How Can You Stay Connected and Be Informed About Admission progress? This is the most recommended source of genuine and official news regards admission. First, ensure you know the official website of your proposed schools. Most schools’ websites end with the extension .edu.ng. For examples unilorin.edu.ng, ui.edu.ng, unilag.edu.ng, uncial.edu.ng, uniosun.edu.ng, uniben.edu.ng, lasu.edu.ng, uniport.edu.ng, uncial.edu.ng etc. I’m sharing this with you because there are lots of fake websites being created by fraudsters/scammers out there. They’re patiently waiting for the innocent you to enter into their webs. Kindly know your school’s website off hand and go straight to such websites whenever you want to check for updates. Using Google to search is good but if you don’t know what you’re looking for, you can just fall into a scammer’s hands. A school will dedicate a part of her website homepage to share their latest news on the activities including post UTME, results, admission lists and so on. Should your school website has newsletters option, you can subscribe to receive their posts through email. One stop shop to get all your selected schools’ updates is through an education blog such as schoolcontents.info. I do my best to keep you updated and guided on admission, scholarships and jobs. Meanwhile, bloggers are equally beggars. This is while some of us don’t vet information before posting. Some only copy and paste. A good education blogger will not only inform you but will, as well, vet the information to be shared and guide on how to do things to avoid errors. This is why my approach is different. If you subscribe to two or three education blogs, you can be sure that all your schools' information will not pass you by. By subscribe I mean, you’ll have to submit your email to me through this link. After that, a message will be sent to your email to confirm your subscription. In order to be receiving continual updates when I post, you must click on the confirmation link sent to your email. An experienced blogger already knows this and will follow that news for you and share as soon as they drop. Some Facebook/WhatsApp groups were created to scam you - so be very careful. Some admins will work very hard to answer your questions and share official-like updates. This is a way to get closer to all members and win their hearts. Before you know it, they will be sending you private messages that they can help you with the admissions. They call this RUNZ! Then, you’re asked to send your documents and processing fee. Run for your money, please! One most interesting thing is that most Facebook/WhatsApp group admins are admission seekers like you. But they’ll claim they are not. Some may claim they are working in the school ICTs or admission offices. But in reality, you can benefit from joining your school groups on Facebook/WhatsApp. Some students will have vital information to share. Just be careful with what you will believe. In the same vein, some schools have dedicated Twitter handles and Facebook Pages to share information. Follow your schools on those channels will be far better. 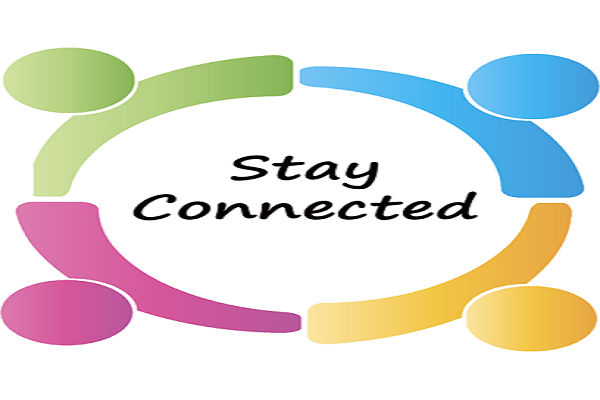 To search if your schools have dedicated Facebook pages, visit Facebook or Twitter. Then, in the search box above your page, enter the name of the schools. List of suggested groups and pages will be displayed for your picking. You can send membership request (to join the group) or click on Follow to be seeing updates form those pages. Especially for JAMB news, radio and newspapers can be the right source of information. However, some schools prefer using newspapers to announce the sales of post UTME forms, posting of the names of the admitted candidates etc. Call it knowledge - it's the same! If you can take to any of the above, you’re more on the safer side than when otherwise. Subscribe to this blog to get it to your email if the next section is not ready now. You'll be notified as soon as it's available.